This day excursion is designed for those who wish to enjoy the highlights of Rome's surrounding countryside; TIVOLI and the VILLAS of HADRAIN and D'ESTE. After you are greeted at the Port of Rome you will drive through the countryside to arrive at the most sought after site of the ancient Roman elites; Tivoli. In the morning you will spend some time visiting the ancient ruins and summer home of the Emperor in Villa Hadrian, the site chosen by Emperor Hadrian for his home away from Rome, a monument created to entertain the emperor and his court, before you are escorted to lunch. 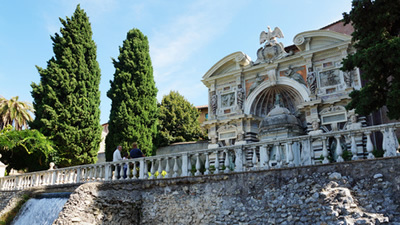 Continuing on, you will arrive in Villa D'Este, the renaissance summer estate, known for its exquisitely manicured gardens and highly praised fresco paintings. We do highly recommend a private licensed guide for Tivoli. Tivoli is partly wheelchair accessible.